As I mentioned in yesterday’s post, I made butternut squash soup for dinner on Sunday. First of all, this soup is delicious. Secondly, it’s nutritious. 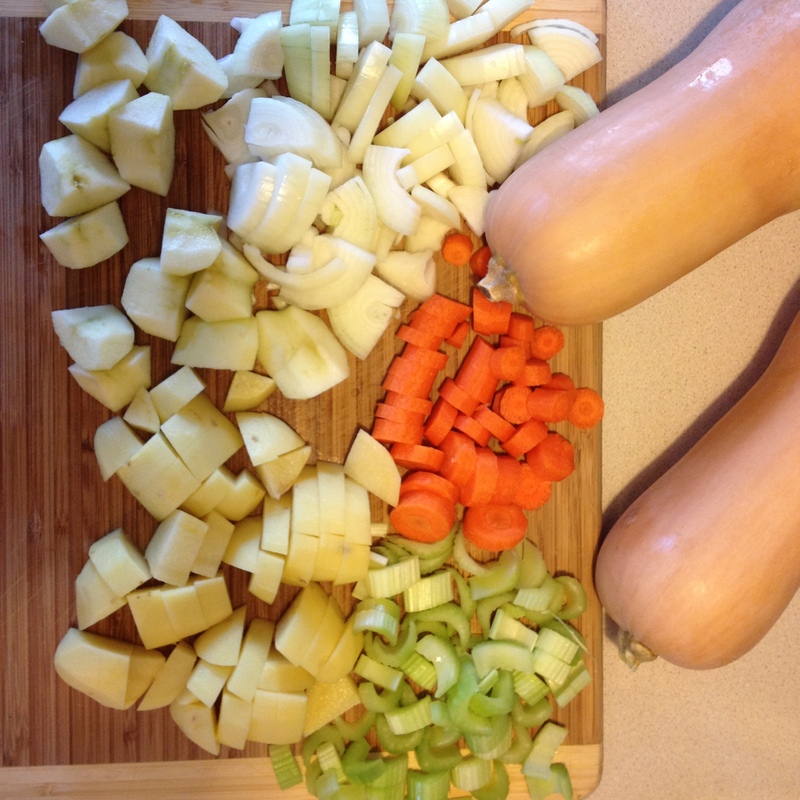 Thirdly, this recipe makes A TON of soup. I didn’t get any actual volume measurement, but we had it for dinner Sunday, lunch yesterday, and lunch again today. This would be a great recipe to whip up on Sunday and have lunches all week. Or freeze it in smaller portions for those days when you just don’t have time to cook. This is a recipe that I’ve perfected through some trial and error, and you will notice that it’s not really seasoned all that much. I prefer to taste the actual veggies myself, but you can certainly spice it up all you want, and I’ve included some suggestions below the recipe. 2. Add veggies and broth to a large pot. 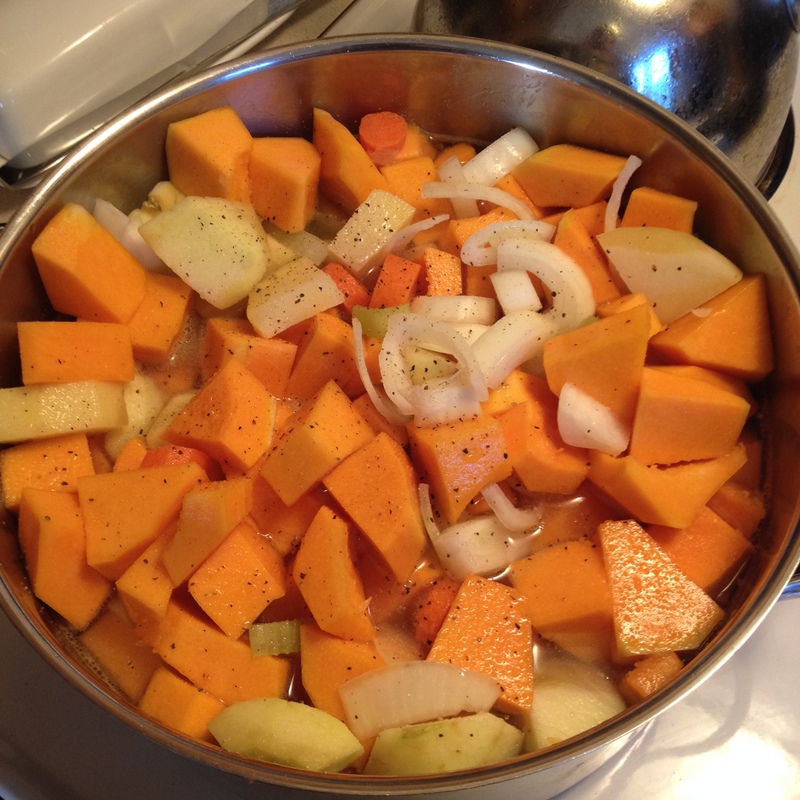 Bring to a boil, then reduce to a simmer, and cook until veggies are soft. Feel free to add some salt and pepper, but be sparing here–it’s best to wait until after the soup is blended to spice it. 3. Remove pot from heat, and using an immersion blender, puree the soup. If you don’t have am immersion blender, you can puree it in batches in a blender. Personally, I prefer this soup with a few dashes of Frank’s Original Red Hot sauce mixed in. There’s truly nothing better, in my opinion. 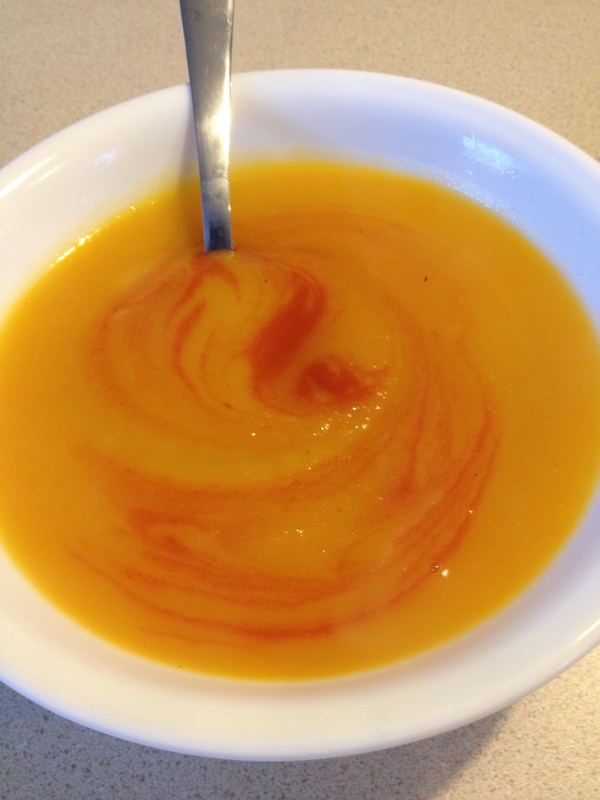 Have you ever made butternut squash soup? How do you season it?